Early Saturday, December 1st Fink’s Jewelers at Southpoint Mall in Durham was robbed. 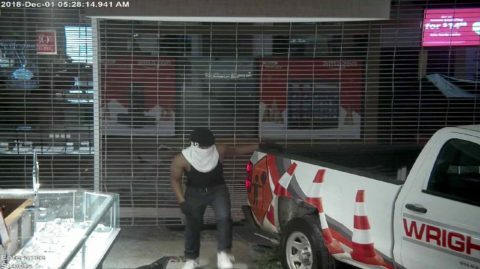 At approx 5:30am the suspect took a stolen red and white truck and drove through the front entrance of the jewelry store. Once inside the suspect proceeded to break cases and steal jewelry left out overnight. 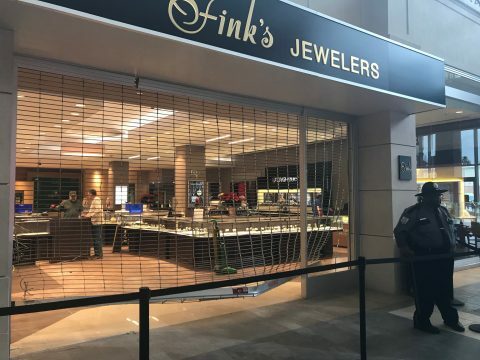 While Fink’s has not announced the amount of jewelry that was stolen, it is safe to assume most of the items were silver and semiprecious stones. Normally policy in the jewelry industry is to pull all gold, diamond and precious gemstone jewelry and have it locked in the vault overnight. While we are glad no one was hurt out thoughts go out to the Fink’s Jewelers team. The cleanup and repairs could not come at a more inconvenient time with the Christmas holiday around the corner. If you or anyone you know has information relating to the suspect pictured below please call CrimeStoppers at (919) 683-1200.